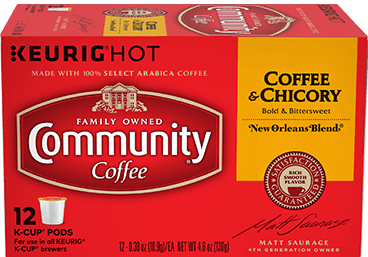 Community coffee K-Cup Coffee and Chicory has a bold and bittersweet flavor. This coffee is made with chicory. It is a New Orleans Blend coffee.